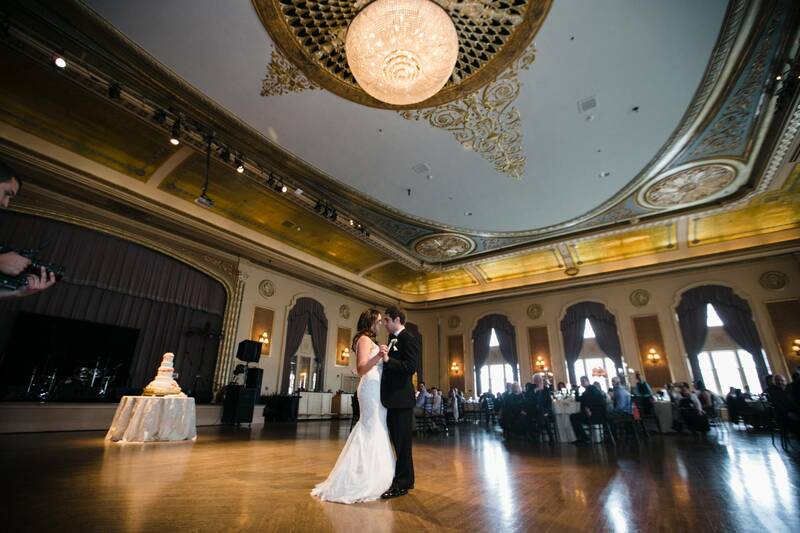 The Palais Royale Ballroom is one of South Bend’s finest event spaces. From the moment you step inside, it is easy to become captivated by the elegance and grandeur. Opulent architecture and stunning details within the 8,800-square-foot building is just the beginning of the exceptional experience. 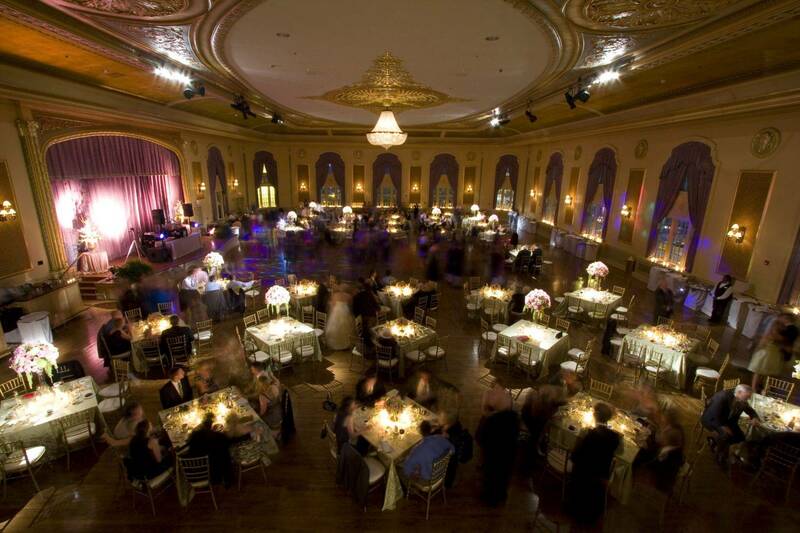 With rich history and exquisite opulence, the options are endless for your special event. 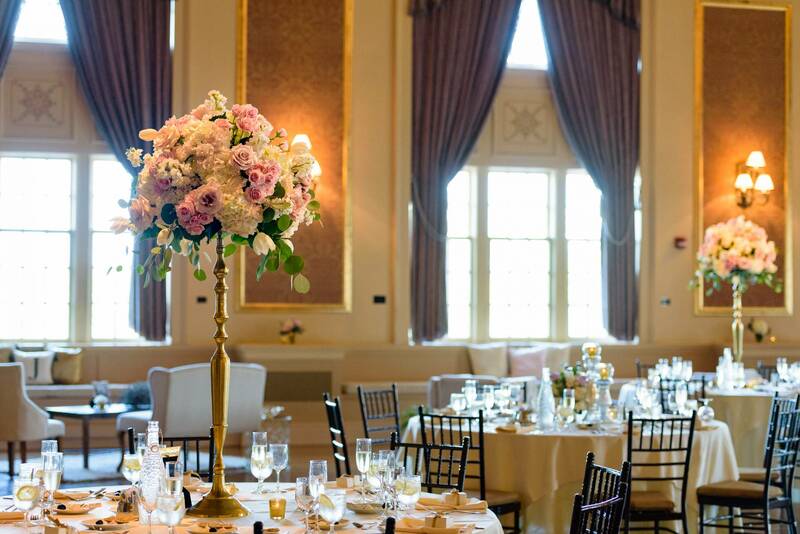 Polished hardwoods and a 35-foot ceiling will welcome you and your guests into the Palais Royale ballroom. 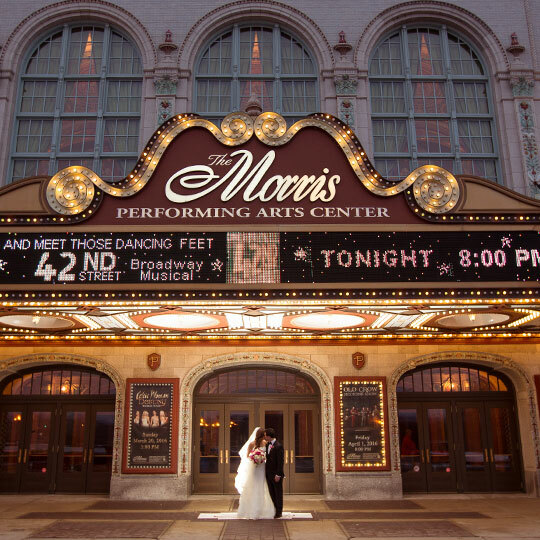 Set the stage for the most spectacular event inside the Morris Performing Arts Center. 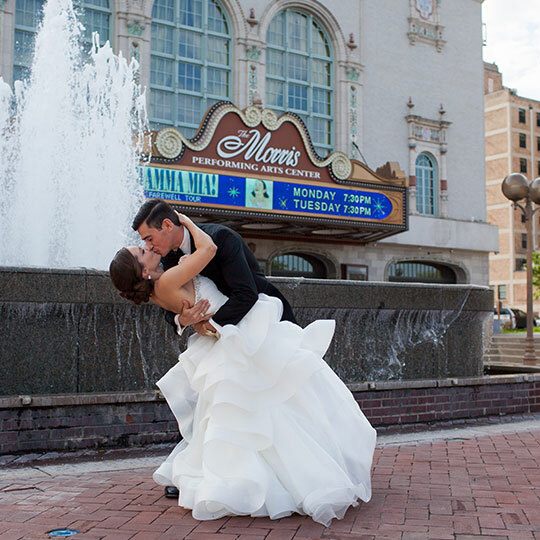 Enjoy being nestled downtown on Jon R Hunt plaza, with plenty of greenspace for your event. Regardless of what you choose, your guests won’t soon forget their experience with us. 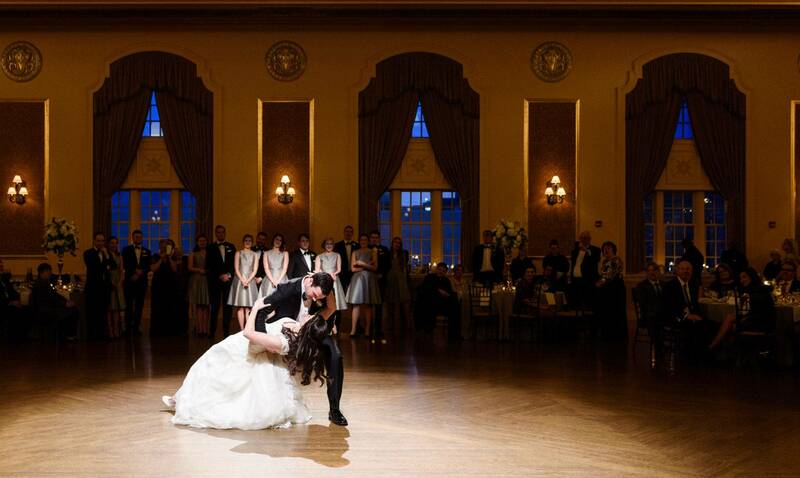 Check out what each of our venues can offer you below. Had our prom here for about 300, and it was a good space with high ceilings and kept a fair temperature for all the dancing. 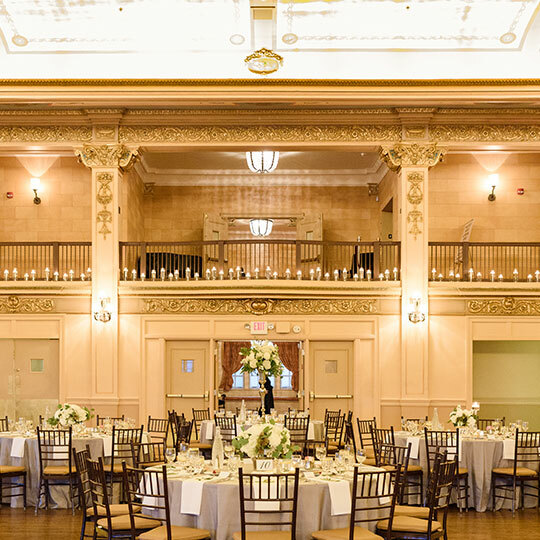 A great gathering place for banquets, receptions, meetings and small conventions. Held our wedding reception here. The staff was top notch and the facilities romantic. 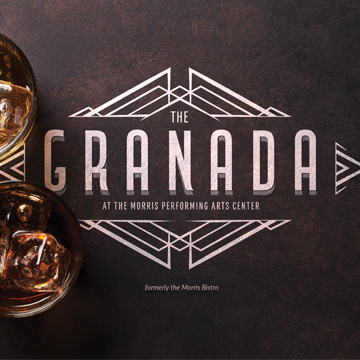 My grandfather saw Frank Sinatra perform here. Choose from a variety of possibilities. Navarre Hospitality provides fresh and flavorful farm-to-table ingredients that are served to perfection.